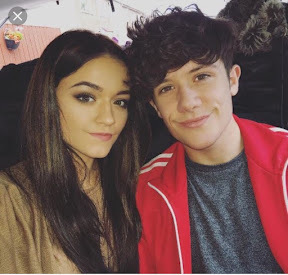 Emily Middlemas and Ryan Lawrie admit they are fed up with healthy eating in the X Factor house and just want some junk food. Asked if they were cooking for one another in the house Emily revealed: "No we don't cook dinner for one another. We have a chef. But he added: "It's all too healthy. We don't have any fried stuff or anything. We want a big chippy from Glasgow. Emily laughed: "Yeah, we want a big burger. We need pizzas." Emily said of her time in the house. She enthused: "It is amazing honestly. Every single contestant is so nice and there for each other. Everyone is so lovely and we all get on really well. I was expecting it to be cat fights but it's not like that at all. Everybody is so nice and we are really enjoying ourselves. It's good." Ryan added: "It's amazing. We just support each other and focus on what we are here for which is to perform every week and do the best we can and when we get some spare time we like to chill out and spend some time together which is nice and is a bonus". The new Jukebox feature will see the song themes for the following week being decided via a spinning wheel on the show. Themes up for grabs include Oscars, Boy Band vs Girl Band, Disco, Motown, 80’s, Divas and Louis Loves (the Louis Walsh collection). Emma said: "It's crazy cause you never know which theme it's going to land on so it's really exciting." Ryan admitted it concerned him adding: "It's scary cause all the genres are not something I would do. It's not really my kind of music. It'll be a really big challenge to try and adapt to what it is." Ryan added: "It feels so amazing we wanted Scotland to get everyone behind us and hopefully get the votes in so we can stay a bit longer. It doesn't usually happen to someone like me. Coatbridge is not one of those places you get a lot of opportunity. I'm just holding it with both hands and hopefully am not going to let it go for a while."